Melbourne: Novak Djokovic was so good, so relentless, so pretty much perfect, that Rafael Nadal never stood a chance. After dropping only four games in the semi-finals, Djokovic spoke about being “in the zone.” Clearly, he did not budge from there, producing 34 winners and only nine unforced errors on Sunday. 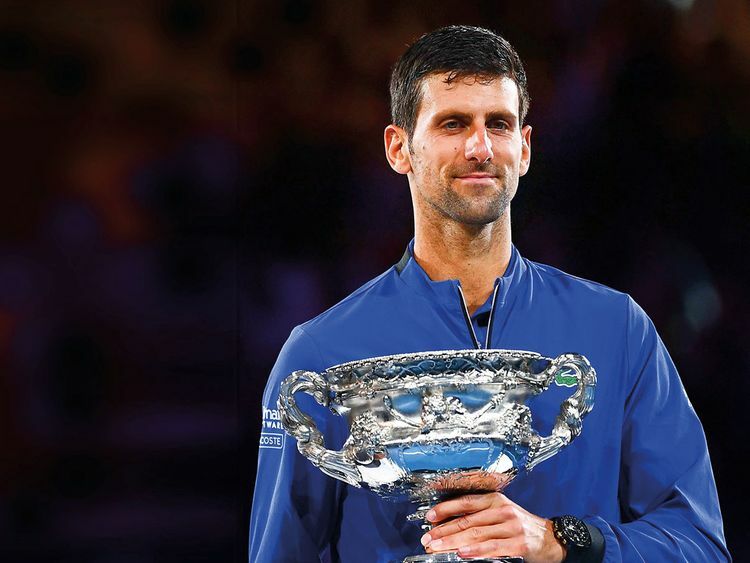 So Djokovic added to previous triumphs in Melbourne in 2008, 2011, 2012, 2013, 2015 and 2016, along with four at Wimbledon, three at the US Open and one at the French Open. He broke his tie with Roger Federer and Roy Emerson for most Australian Open men’s titles. He also broke a tie with Pete Sampras for third-most Grand Slam trophies” Djokovic only trails Federer, with 20, and Nadal. Nadal also has dealt with all manner of health issues. He retired from his Australian Open quarter final and US Open semi-final last year with right leg problems, had an off-season operation on his right ankle, and hadn’t competed in about four months when play began in Melbourne. Djokovic and Nadal know each other, their styles and their patterns all too well. This was their 53rd meeting — more than any other pair of men in the half-century professional era — and record-equalling 15th at a Grand Slam tournament. It was also their eighth matchup in a major final. So there should not have been any mysteries out there on Rod Laver Arena’s blue court as they began with the temperature, which had topped 40 Celsius in recent days, at a manageable 25C and just a hint of wind.